Your personal values, otherwise known as your 'Core Values', define who you are by allowing you to make choices & decisions that you deem are of significance, meaningful, worthy and desirable of your time and how it's spent. They dictate your actions, reactions, and how you respond and handle any situation that life throws at you. If you think about it, everything that we do, and I do mean EVERYTHING, is for the sole purpose of enhancing the level of happiness that enriches our lives. The goal in life can be viewed the same way as in any sport - in that we make the effort to do the best that we are capable of doing. 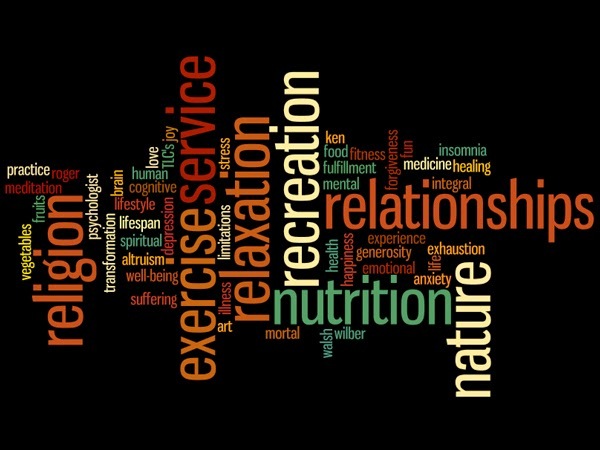 By doing so, we allow our best efforts and intentions to resonate with all things that make us who we are - our spiritual life and connection, our relationships, in marriage, at our careers/jobs, our community, for the love of our country. I've had in my possession a great book that was given to me as a gift from a good friend. I can honestly say that this book has been one of the best gifts I've received since I read it quite frequently and it's given me many thought-provoking episodes in allowing me to reflect back at everything I've done and how to take positive ACTION for new adventures that have yet to take place. 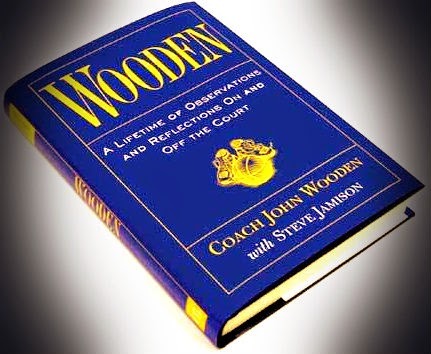 The book I'm referring to is the one written by the late & great legendary basketball coach, John Wooden - "Wooden - A Lifetime of Observations and Reflections On and Off the Court". I can't tell you how many times I've read it, but I can say that from the hundreds of times that I've flipped through the pages, it has served as an invaluable & tremendous resource that creates substance, meaning and direction into both my personal and professional life. One of my personal core values is to always seek the good in every situation - no matter how hard, difficult or challenging it may be. The question is, how can one possibly find the inner strength & intestinal fortitude to push forth when life knocks you down? To help give you some guidance and some essential tools that anyone can use to improve any situation and to enhance and upgrade the quality of life , I want to share with you nine (9) promises that can elevate and bring you happiness while also assisting in taking all things in your life to the next level. These promises are excerpts directly from Coach Wooden's book that I know for a fact you'll appreciate just as much as I did. The way I describe "success" is by creating & making promises to yourself with the sole intention in completing and fulfilling each one while standing firm with your core values and beliefs. Do yourself a favor, and do as I have done, and make a copy of the nine (9) promises listed above and carry them with you wherever you go.